Based in Sevenoaks, Kent, we are ideally located to carry out painting, decorating and property refurbishment projects across the South East, including in Tunbridge Wells. Working for both domestic and commercial customers, we specialise in providing comprehensive services as part of a package or as individual options. Ranging from interior and exterior painting and decorating to plumbing installations, plastering and bespoke joinery creation, we provide the complete building refurbishment and maintenance service. Our painting and decorating service is a great way of keeping your property looking professional and attractive. 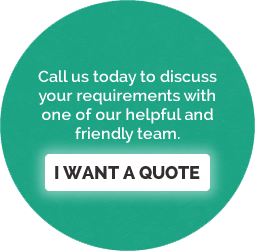 Our painters and decorators have years of experience in working with a variety of different clients and meeting challenging and unique requirements. While painting and decorating is still a core part of our business, we also specialise in bathroom refurbishments, plumbing and electrical installations. Whatever improvements you need, we can provide them. As well as painting, decorating and refurbishment services, our team of experienced painters, decorators, plumbers and electricians also carry out insurance work and deal with insurance companies directly. Wherever you are in the Tunbridge Wells area and no matter if you are a homeowner, a commercial business or a school, we will be able to provide a cost effective and reliable decorating solution.